Added on May 12, 2017 by Yusuke Nakajima. Added on April 24, 2017 by Yusuke Nakajima. Added on April 13, 2017 by Yusuke Nakajima. In 1960’s, Andy Warhol’s studio in Manhattan, so-called “the Factory”, was the place where he produced his iconic silkscreen prints and experimental films, which he started making in the 60’s. At the same time, this place became like a salon where musicians like Mick Jagger and Lou Reed, poets like Truman Capote and Allen Ginsberg, actresses and fashion models like Nico and Edie Sedgwick or other friends and people around Warhol gathered day and night and was the center of New York City’s culture scene. Warhol and Malanga’s film portraits [Screen Tests] were made in the Factory, filming the guests with his 16mm camera. These films of subjects captured sitting still before the camera are known as one of his earliest experimental films and present a new idea of portraits in the history of art, just like Warhol’s silkscreen prints, which many celebrities asked him to make as a novel way of portraiture. 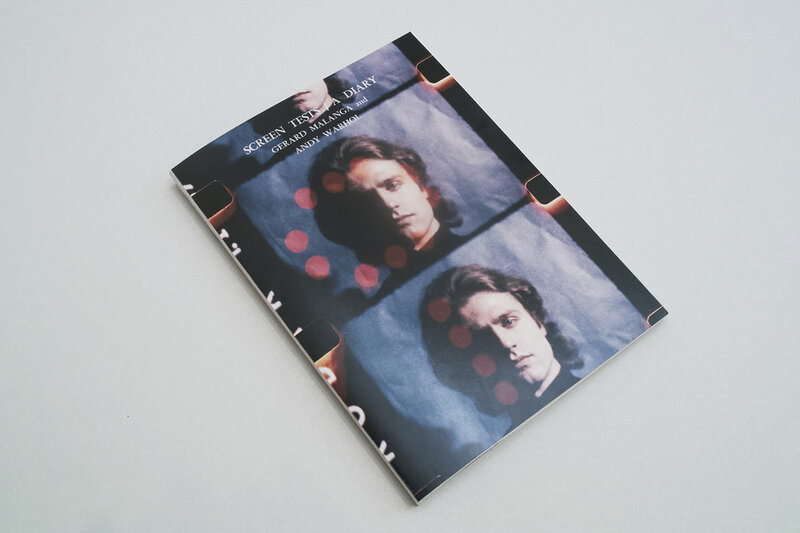 In 1967, some of the films were printed and published as the book [Screen Tests / A Diary] together with prose poems by Gerard Malanga, who worked for Warhol from the early time in the Factory. However, in contrast to [Andy Warhol’s Index (Book)]*1, which was published in the same year and received high praise, it didn’t sell good back then. The publisher had too much stock, even after several years, so they destroyed the books and disposed of them. Consequently, an extremely small amount remained safe and it became a rare book, which may cost in excess of five thousand dollars in the market. 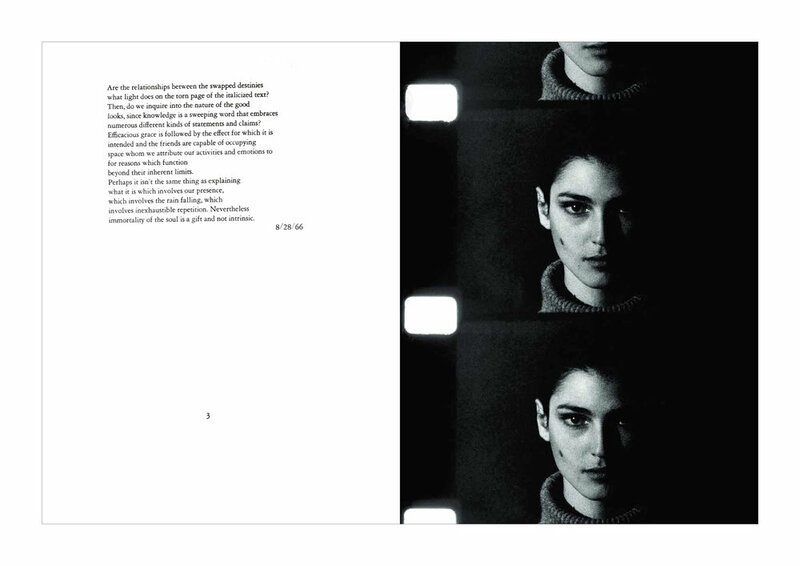 In this book, the unique thing is that the top and bottom of the films are cut off from the sequence of film rolls with continuous facial gestures, so the subjects are trimmed generously. In this way, the four corners remain empty and it is unlike Warhol’s other works, which are completed within the canvas. This was Gerard’s idea and their collaborative work showed a fresh approach to the portrait genre. The series of work can be seen as a collection of portraits of the people who created American culture in the 60’s, as a result of Warhol’s charisma and the diverse connections of Gerard Malanga, who introduced a lot of subjects in the book to Warhol. Therefore, the book could be considered as a highly important art book. In 2017, it has been 50 years since the first edition was published, and [Screen Tests / A Diary] will be a facsimile reproduction. People can see this historical masterpiece which is important in the contemporary art and photography context. In addition, this reprint edition will be a limited release in Japan and will be available only in Japan, not in any other country. Please don’t miss this opportunity. 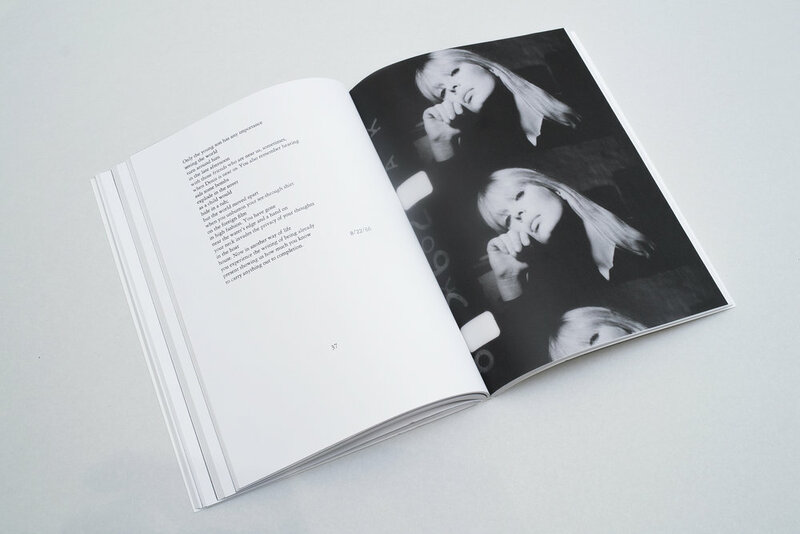 *1 Andy Warhol’s Index (Book): An artist book which resembles a pop-up picture book that has photographs, texts, pop-ups, a balloon, picture-flex-disc, etc..